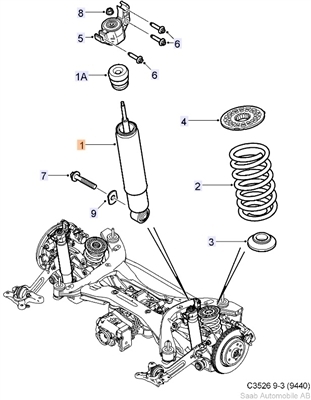 Saab 9-3 Sport Combi Rear Shock ('08-'10) . 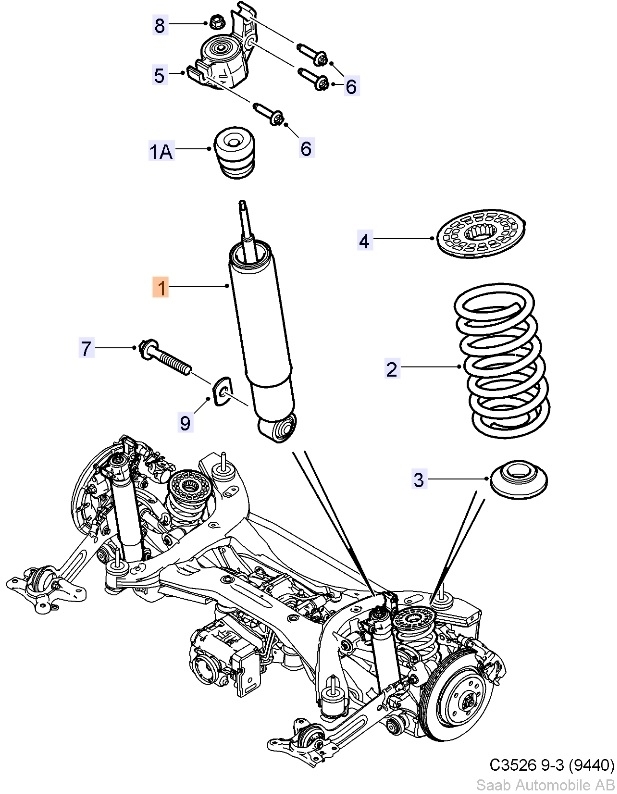 For car with V6 engine and sport suspension code X5!! For cars with XWD. See Diagram - You are purchasing #1 ONLY Sold Individually (left and right are the same). 2008-2011 Saab 9-3 Sport Combi Wagon. Aero Models ONLY.